His roots lie in Gipsy Swing music, the style pioneered in the 1930s by the legendary jazz guitarist Django Reinhardt. Joscho Stephan has not merely absorbed this music, but also interprets it on the highest level and is actively engaged in extending its boundaries. Despite his youth, after four highly acclaimed CDs and a DVD he has played his way into the illustrous circle of the finest Gipsy Swing musicians in the world. Great jazz musicians such as Paquito de Rivera, James Carter, Charlie Mariano or Grady Tate enthusiastically praised the talented newcomer after performing together.He has toured Australia with top guitarists Martin Taylor and Tommy Emmanuel and has performed with his own bands (trio to quintett) on numerous important European festivals (among others in Slovenia, Italy, France, Poland and the UK). His concert appearances in New York’s Lincoln Center or the American country capital Nashville were equally well-received, as were his perfomances in the New Yorker jazz shrine Birdland. Across the board, the press only has good things to say about Joscho Stephan. His debut “Swinging Strings” was named CD of the month by American magazine Guitar Player. 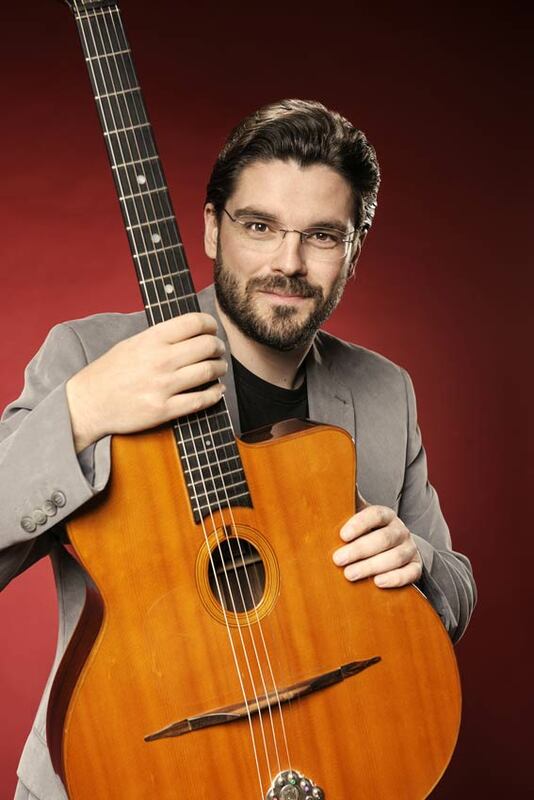 In the words of the highly regarded Acoustic Guitar Magazine, he is the guarantor for the future of Gipsy jazz guitar.